We make suit shopping easy and affordable. We make suit shopping easy and affordable. 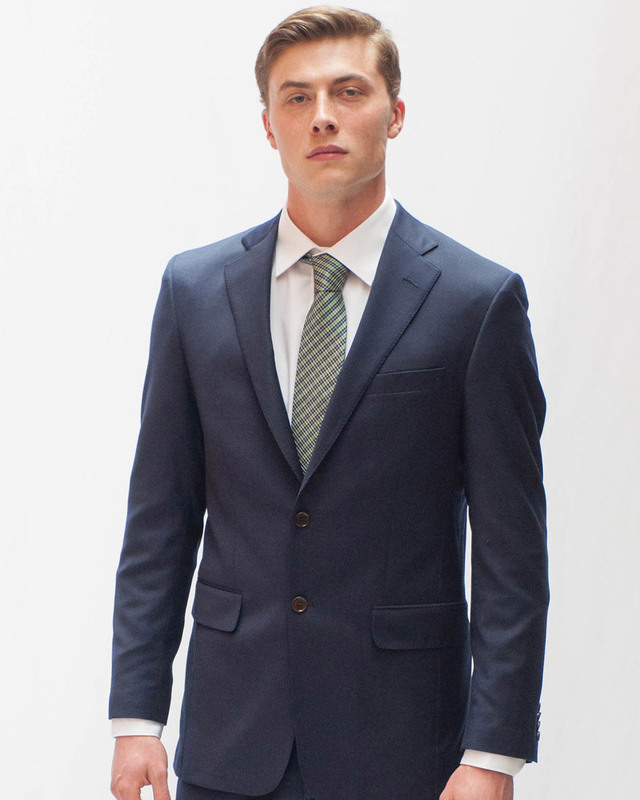 American made and imported suits and suit separates. Slim, modern and classic styles engineered for fashion and comfort. From college to boardroom, for work or fun, we’ll help you find a suit that fits your style and budget. Modern Fit – A raised armhole, slimmer sleeve, suppressed waist and a narrower shoulder make this a slim but professional tailored look. Perfect for all ages. Classic Fit – An easy fitting cut designed with comfort and longevity in mind. Classic but timely. A comfortable professional look. Made in America since 1887, a commitment to innovation and craftmanship have made Hart Schaffner Marx the choice of professionals in businesses and boardrooms across the country. 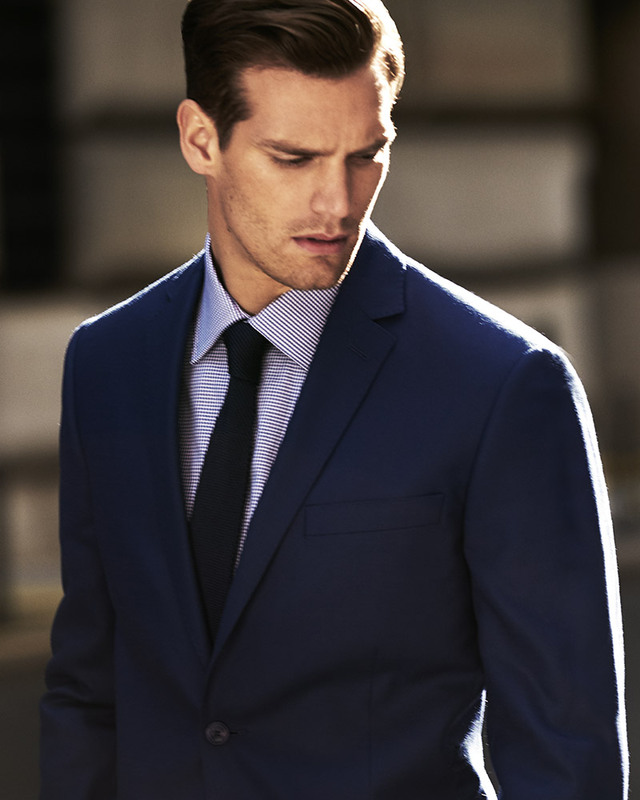 Sophisticated, enduring American style re-engineered and tailored for the modern man. One of America’s oldest continuously operating clothing companies, Hardwick is 137 years old, committed to American craftsmanship and completely retooled for the modern silhouette. Narrower shoulders, higher armholes, smaller sleeves, and a suppressed waistline combine with hi-tech stretch fabric construction to give a sleek but comfortable feel. Perfect for the young professional and soon-to-be college graduate, this look wears well for the office, interviews, internships, weddings, or a night out. S. Cohen combines a sleek European style influence with North American comfort and functionality. Slim, modern, and classic models ensure a fit and style for every age group. Quality construction and craftmanship durable enough for the office but fashionable for any social occasion. Our largest catalog of colors, patterns and fabric selections. Perfect for any age group. Our most affordable and versatile premium tailorable suit. Durable half-canvas construction in Supima wool and wool blends. Full cut shoulders and sleeves, a sleek but comfortable profile and the versatility of separates make this the perfect fit for average to big sizes. The ideal choice when you need a suit only for occasional use, but durable enough to wear to the office every week. When you need something just a cut above, consider our made to measure program. Choose your model, style, and luxurious fabrics from Italian mills Reda, Zignone, and Loro Piana. 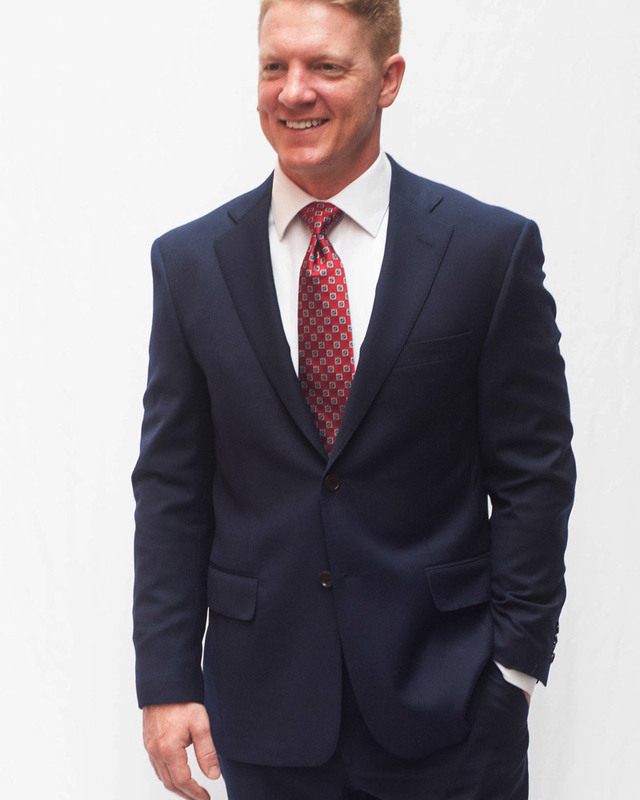 Let us build a custom suit, or sport coat personalized just for you. Made in America.